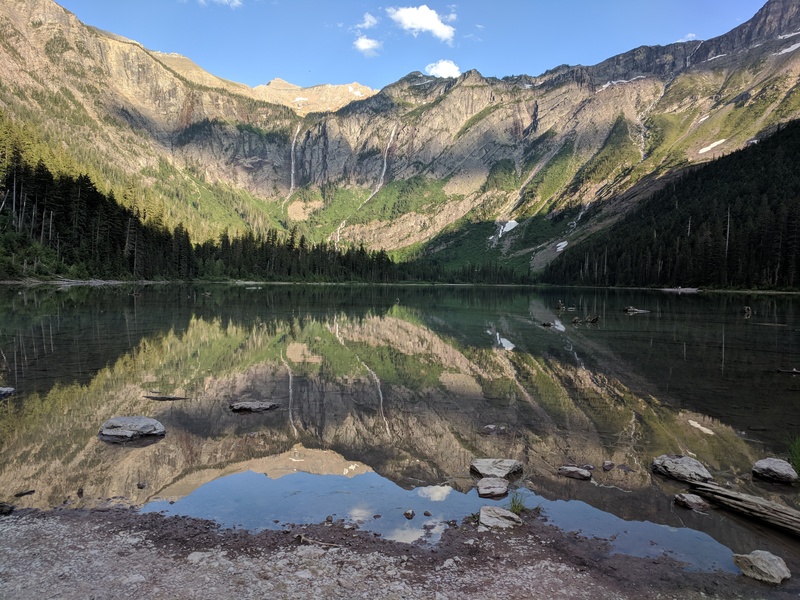 From July 22nd to 26th, we were in Glacier National Park. 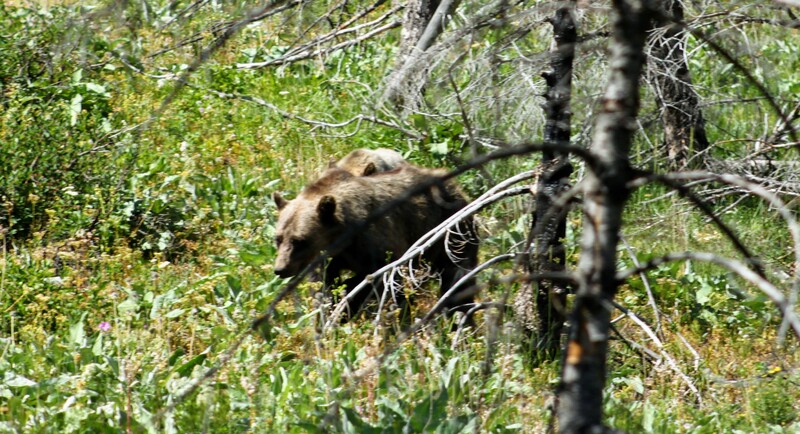 Initially we had a reservation in Polson, Montana. Polson is on the south end of Flathead Lake, about 70 miles from West Glacier. The people at the park were very nice, but we quickly discovered that it was basically a retirement community – the pickle ball courts were bulging at the seams. 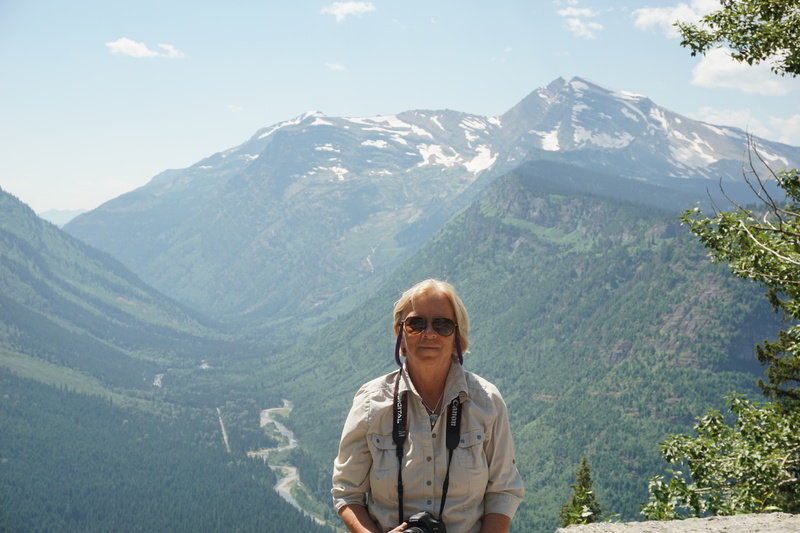 So we went to Glacier from there one day, and then Cyndi found a spot for us in a campground about two miles from the park entrance. 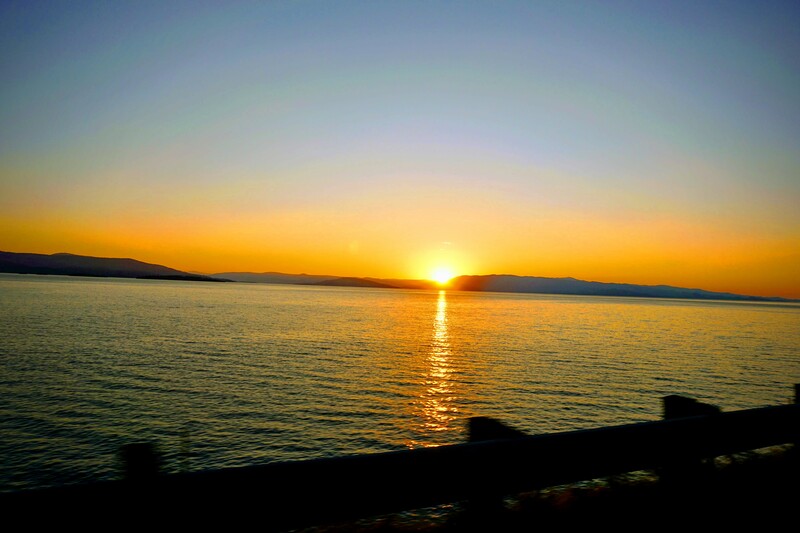 Before we left, I captured a shot of sunset across the lake, and we bought some of the locally famous Flathead cherries, which had just come into season. 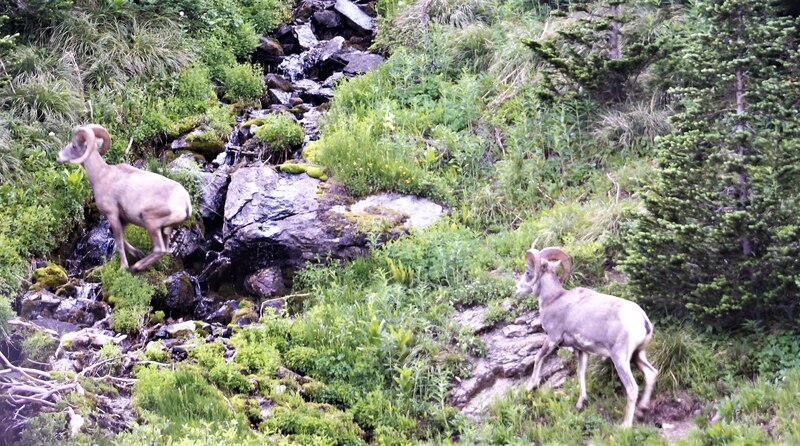 Glacier National Park has the most spectacular scenery we’ve seen yet. For that reason, it’s hard to choose just a few photos. 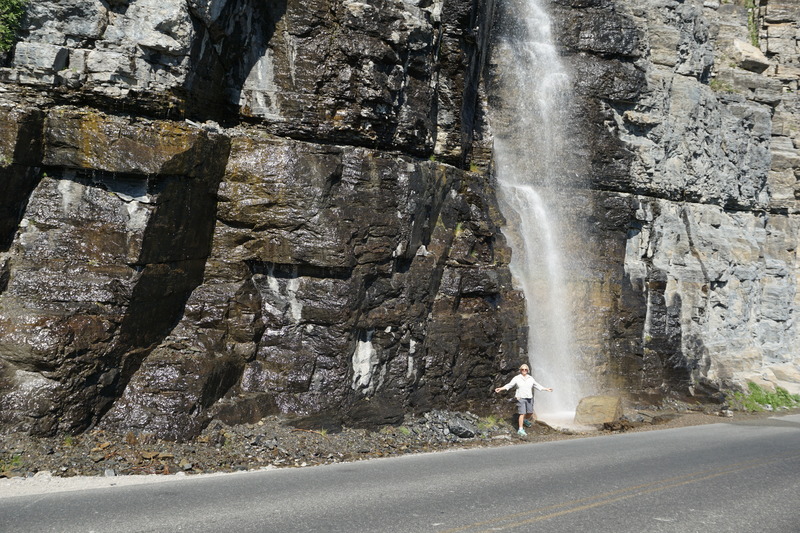 For those driving through, the centerpiece of the experience is Going to the Sun road. This is a 50 mile stretch, completed in 1932, literally blasted into the faces of the mountains. 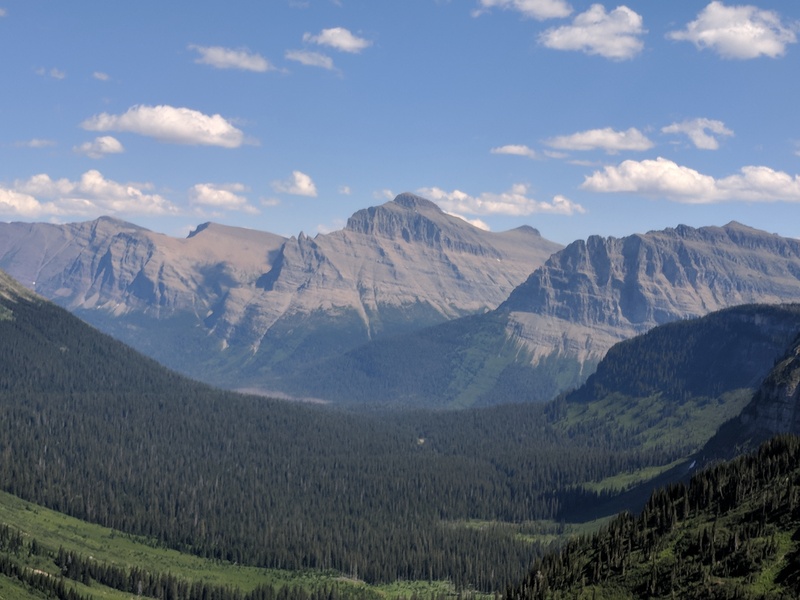 From West Glacier, the road climbs more than 3,000 feet in 30 miles to the Logan’s Pass Visitor’s Center, though most of that elevation actually happens in the last 10 miles or so. The road is narrow and winding; one side runs along sheer cliffs, the other along dropoffs of hundreds of feet. We were happy to have had the Jeep, but we still white-knuckled it the first time. Cyndi’s posted a video in the album linked below. We took about a thousand pictures of views along the way. 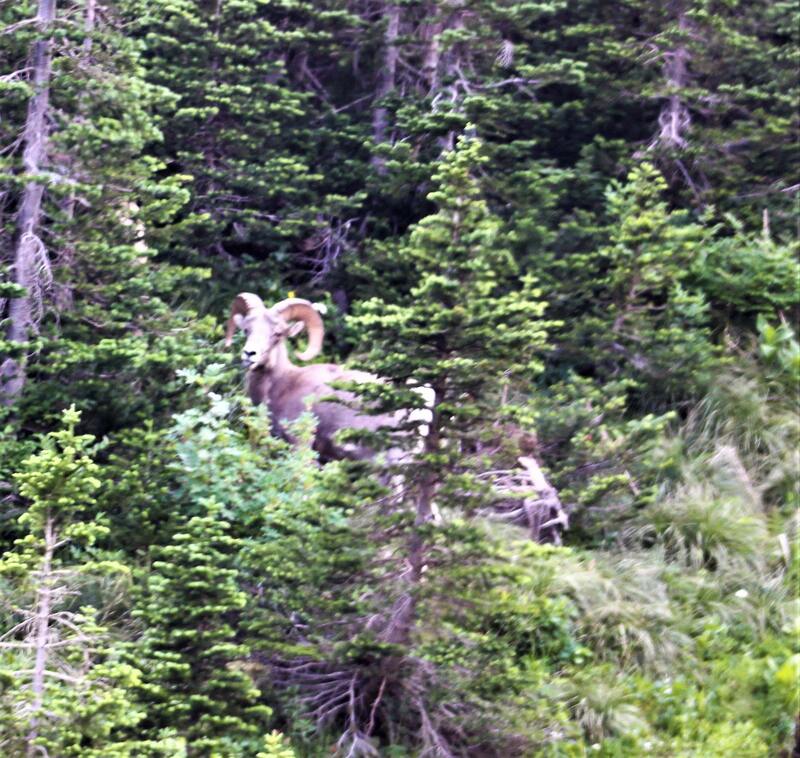 On our first day in Glacier, we met some of the local wildlife – bears eating huckleberries on a hillside (the berries grow only on south-facing slopes, and are only in season for two months), and a bachelor herd of bighorn sheep. On our second day in Glacier, we hiked into Avalanche Lake. 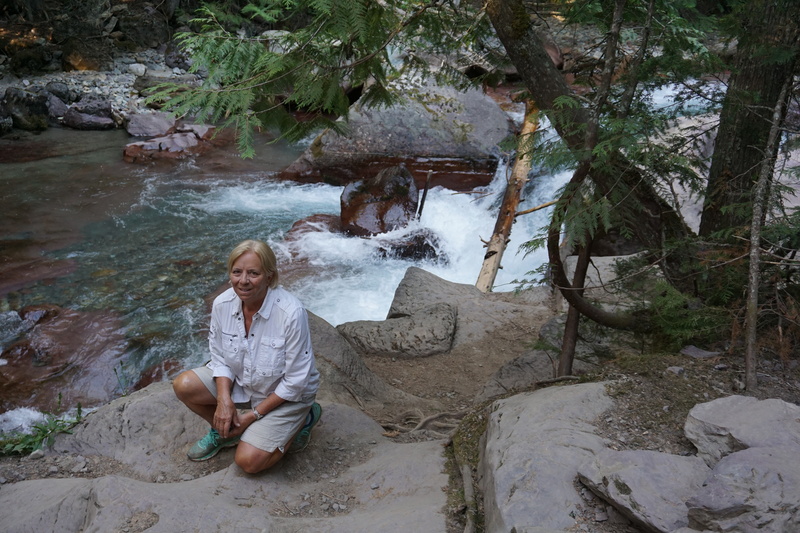 This is a five-mile roundtrip that begins at Trail of the Cedars and continues past Avalanche Gorge up to a mountain lake with five falls running into it. When there’s no wind, the lake is so clear it produces a perfect reflection. 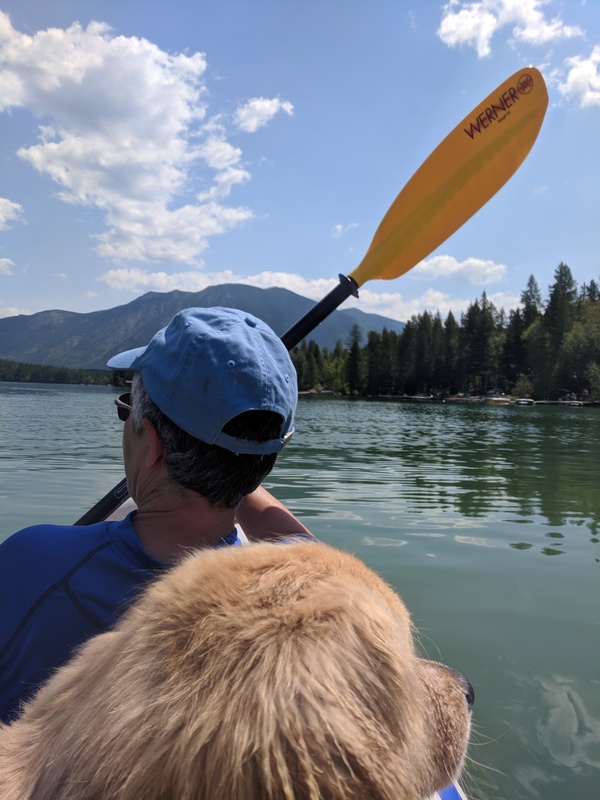 On our last full day in the area, we broke out the inflatable kayak and took her to a lake just about a mile from our campsite. 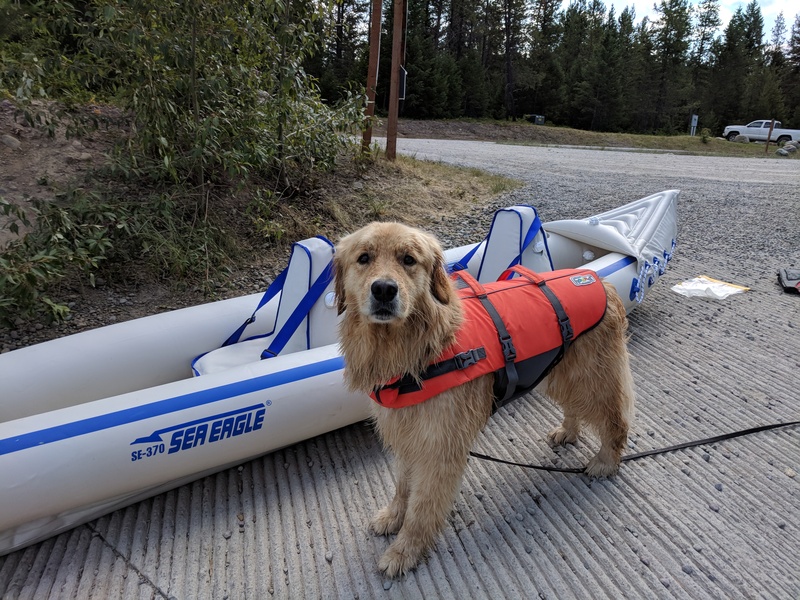 Sunny took his first ever paddling trip, and was remarkably calm, if curious about the paddles. We took way too many photos. For a bigger selection, see here. 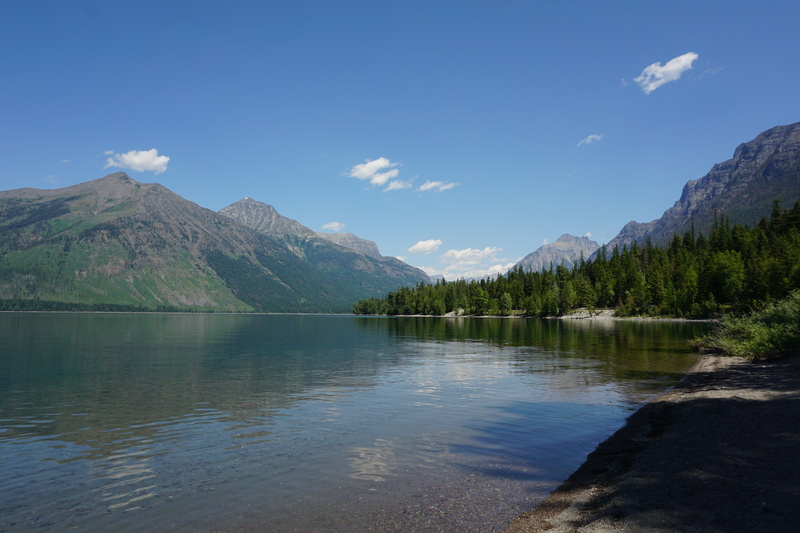 One postscript – as of this writing (08/21), the area around Lake McDonald is on fire, and is not expected to be under control until November. Fires in the area are not unusual, but climate change is making them worse.